People and companies need translation for various purposes but one of the most common types of translation is document translation. It is quite specific as the mistranslation of only one word may cost the client a lot. Therefore, quite often people prefer to opt for a certified translation of their important documents. This type of translation is most commonly used with certificates, such as birth or marriage certificate, or other legal documents like contracts. Quite often, the client is not sure what to expect by a certified translation and what it really mean. Sometimes the terms “certified translation” and “certified translator” are misused or not properly understood. 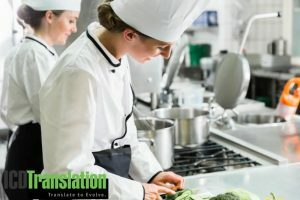 The article below tries to shed a light on this terminology and give you some ideas when to request a certified translation, how to recognize that your translation was certified, and how to become a certified translator if you are a professional in the industry. Quite often if applying for a job or university abroad, for example, you may be faced with the requirement to provide a certified translation of your diploma. You do not have to be startled by this as obtaining a certified translation is as easy as getting a “normal” translation. All you need to do is request a certification from the agency or the translator providing the service. Note, that a certified translation costs a bit more in most of the cases. A certified translation is simply a translation that bears a signed statement, usually at the bottom of the text, attesting to the accuracy and completeness of the translation to the best of the translator’s knowledge. It is accompanied by the translator’s signature and/or the company’s stamp. In some countries, the document should also be notarized by a notary public in order to qualify as a certified translation. Note that any translator and agency can certify a translation. It is not required to be a certified translator in order to sign such a certification statement or provide certified translations. Once the translated text is certified, it becomes a legal document and the translator bears responsibility for any incorrectness contained in it. Translation agencies usually use their most experienced translators once a certified translation is required. The text is also edited and proofread in order to guarantee its high quality. Business – for corporate dealings, it is often required to present certified translations of various documents such as contracts, patents, financial reports. How to Certify a Translation? There are several ways to certify a translation. Note that the procedures may differ in different countries depending on the requirements in the industry. 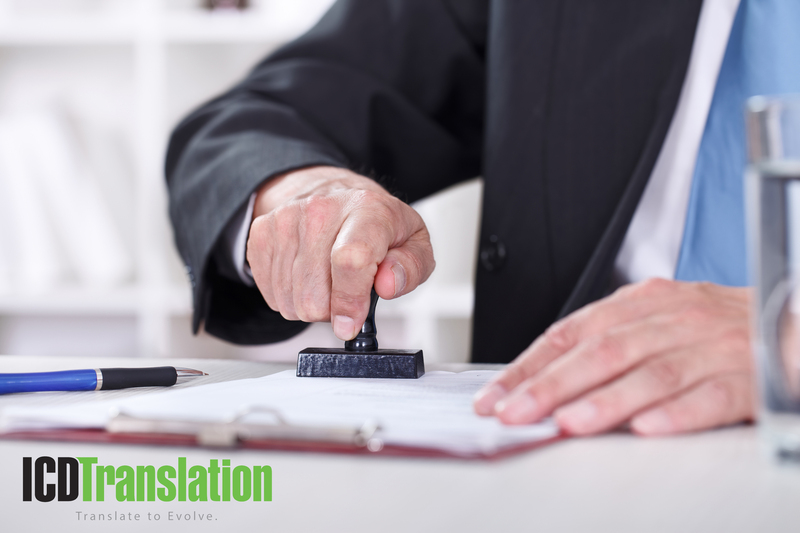 In some countries, translators can be sworn by a specific agency, which gives them the right to do certified translations. Sworn translators can translate and legalize official documents that are recognized by bodies such as the court. This is the most common type of certified translations. The translated document ends with a text confirming the accuracy and authenticity of the translation. It usually contains the name of the translator and/or the translation agency, the source and target language, number of pages of the document, as well as the signature and stamp of the translator/translating agency. This procedure is similar to the one described above only that the signing of the document attesting the accuracy of the translation is done in the presence of a solicitor. The solicitor charges a certain fee for the service. Each translation agency may have its own process of providing certified translation but in general, the procedure used is similar to those described above. While it is not necessary to be a certified translator in order to provide certified translations, there are some advantages of becoming one. It may mean that you can find a job with an agency quicker or that you can win the initial trust of your customers easier. Still, many well-established translators are not certified. The reasons for that may vary – either there is no certification process in the country they work in or no certification for their language combination. In order to become a certified translator in the USA, you can apply to the American Translators Association (ATA). They have a specific certification program that you can follow. The certification exam organized by ATA was established in 1973 and currently offers the option to certify 29 language combinations. It tests specific skills, knowledge, and abilities that allow a person to work as a professional translator. Certified translations are required in certain cases and are provided by trained translators who may or may not be certified. A certified translation does not differ than the usual one in terms of quality, accuracy or speed of execution. The only difference is in the text at the end certifying the translation. A translation, which has not been certified, has the same value and quite often is sufficient for the purpose it was intended for. Except on the occasions, some of which were listed above, when a certified translation is specifically required, there is no need to ask for it. Hi, I have read your blog its really good and awesome I want to ask that why certified translation is so necessary?